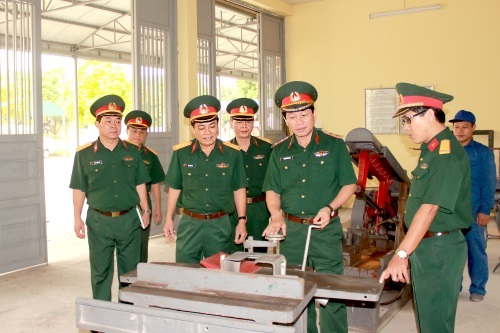 To deal with a downgrading and lack of synchronicity, and improve technical and use coefficients of weapons and equipment dedicated to training, combat readiness and building of Vietnam’s People’s Army (VPA), the General Technical Department (GTD) has taken the lead in studying, advising and recommending the Central Military Commission (CMC), Ministry of National Defence (MND) to promulgate Directive 216/CT-QP, dated 14 March 1995, on launching the campaign “Managing and exploiting weapons and equipment in a good, enduring, safe, and economical manner” in the VPA. In 1998, this campaign was expanded to include road safety and called the 50th Campaign for short. Over 20 years of implementation, the campaign has been brought into leadership and instruction activities of all military organisations and units in the realm of technical work, which both meets the short-term urgent requirements and is of vital strategic importance to the cause of building our military. In its capacity as the leading agency in giving advice and recommendations, and the MND’s standing organ of the campaign, the GTD Party Executive Committee and Command have synchronously executed various solutions; and brought into play the Technical Soldiers’ tradition of “proactiveness, creativeness, self-reliance, and resilience” in management and exploitation of weapons and technical equipment, and guarantee of road safety. Accordingly, unit party executive committees and commanders must consider the effective implementation of four goals set by the campaign as a political mission, and work out policies and measures to lead and instruct this implementation in an opportune, practical manner while developing plans for the implementation close to features, functions and required tasks of each organisation and unit. Propaganda and education with a great deal of content and diversified, creative forms have drawn constant attention of units, which helps to improve all troops’ awareness of the aim, position and importance of the campaign. The standing organs of the 50th Steering Committee at all levels of the GTD have been regularly strengthened and operated effectively. Inspection, reporting, preliminary summing-up, etc., have been carried out regularly. During the course of implementation, units have attached the campaign with their political missions; the Politburo’s Directive 03-CT/TW (Tenure XI) and Directive 05-CT/TW (Tenure XII), and Directive 87-CT/QUTW of the CMC’s Standing Committee on “Stepping up the study and following of Ho Chi Minh’s ideology, morality and lifestyle,” the campaign “Promoting tradition, devoting talent, deserving to be Uncle Ho's soldiers,” and the “Determination to Win” Emulation Movement, thus bringing about important evolution in perception, actions and responsibilities of technical officers and soldiers in the VPA. In 2017, all the GTD’s units ensured absolute safety of weapons, equipment, technical facilities, training, and other contingency tasks. 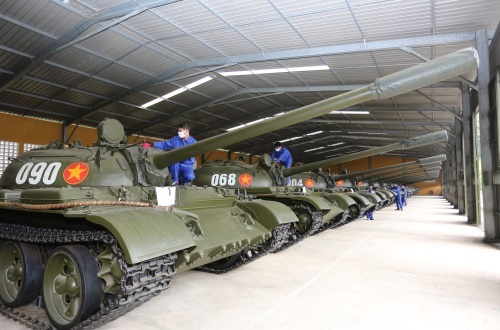 Weapons and technical equipment for training and combat readiness had technical coefficients of 1. Notably, the GTD has instructed its functional organisations to actively study, advise, recommend, and expedite various content and solutions to technical support and safety of storage facilities, including application of new technologies and scientific progress to the repair and restoration of weapons and ammunition; protection of stores; mechanisation of technical work; etc., with a view to promoting maintenance quality of weapons and ammunition, minimising noxiousness, protecting labourers’ health, and so forth. It can be said that through undertaking the 50th Campaign, a number of new elements and prominent examples have been identified. Many research projects and innovation have been applied to technical support. The 50th Campaign has become the catalyst for the GTD and technical branch in the VPA to surmount difficulties and successfully complete every assigned mission. The cause of building the VPA and safeguarding the Fatherland in the process of accelerating industrialisation, modernisation and international integration today witnesses new developments and extremely high requirements. Therefore, the GTD Party Executive Committee and Command, and the technical branch in the VPA should continue to grasp sufficiently and execute more effectively the 50th Campaign with a focus on several key solutions as follows. First, strengthening the leadership and instruction of party executive committees and commands at all levels on the implementation of the campaign. Understanding and realising the higher authorities’ resolutions and directions on technical work, particularly Resolution 382 and Conclusion 763 KL/QUTW of the CMC and the GTD Party Executive Committee on “Leading the technical work in the new situation,” Conclusion of the Minister of National Defence at his inspection of the Department of Military Weapons, the GTD on 10 September 2017, and Instruction 1350/HD-BCĐ of the MND’s 50th Steering Committee on carrying out the 50th Campaign over the period of 2016-2020, every month, quarter, year, and stage, the party executive committees include content of the campaign in their resolutions while supplementing and perfecting organisational and managing mechanisms. Drawing on such grounds, the commanders devise plans close to their units’ characteristics, functions and tasks and realities with the objective of creating breakthroughs in fulfilling the goals set by the campaign. It is necessary to capitalise on the roles and responsibilities, and innovate perception and leadership methods of party executive committees and commanders of organisations and units regarding this mission. At the same time, strong emphasis should be placed on consolidating the 50th steering committees at all levels, ensuring their sufficient staffing, high quality, and operation in accordance with regulations, plans and action programs. The masses’ organisations are requested to conduct concrete, practical activities on the basis of their functions and missions. Each branch must work out emulation content and criteria close to practical requirements. All officers, employees and soldiers are requested to register and pledge to undertake content of the campaign, considering this as the ground for striving and training according to promulgated statutes and regulations. The inspection and supervision work is strengthened with the aim of opportunely dealing with shortcomings and weaknesses in the implementation of the campaign. Second, ramping up education and propaganda to raise every military personnel’s awareness of the campaign in the new situation. In fact, the 50th Campaign has been carried out for over 20 years, but there remain manifestations of simplicity and deviation in perception. Some officers and soldiers believe that responsibility to implement the campaign belongs to only the technical branch, officers and personnel; the VPA has been equipped with new, modernised weapons and equipment, thus there is no need to execute the campaign; and so on. Those are incorrect comprehension. In practice, although the VPA has been provided with new, modernised weapons and equipment, the human beings remain the deciding factor if we wish to win victories, particularly under the conditions of the enemies’ employment of high-tech weapons. Consequently, each revolutionary military personnel must master the available weapons and technical equipment; regard “good maintenance, enduring use, safety, economy, and effectiveness” as a political responsibility of all organisations, forces and each military personnel, first and foremost the “Technical Soldiers.” For this reason, education and propaganda must facilitate all of the VPA’s officers and soldiers’ understanding of the content, position, role, and importance of the 50th Campaign in the new situation. To this end, besides educating and propagandising the content defined by higher authorities and the technical branch, the education and propaganda work has to be regularly and continually conducted with various appropriate content and forms. Most notably, it is important to uphold the practice of political education; effectively realise the MND’s project “Innovating political education in units in the new situation”; promote the quality of legal propaganda, dissemination and education; and educate and propagandise statutes and regulations of the technical branch. 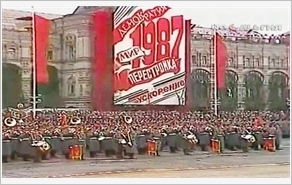 During the implementation process, there is a need to align education and propaganda work with ideological work, organisational work, and the establishment of good order and discipline, particularly in storage and maintenance, technical days, and cultivation of scientific, meticulous style in technical processes, striving for building comprehensively strong units. At the same time, it is necessary to bring into play the integrated strength of organisations, forces and cultural institutions at grass-roots level; and combine continuing and unplanned education and propaganda according to each special subject and topic to suit each group of troops. In recent times, visual education and propaganda of legal content, and statutes and regulations of technical work, especially relating to maintenance, exploitation, master, innovation, application of science and technologies, etc., by means of panels, posters, leaflets, image boards, and technical clubs have proved very effective, thus requiring further studies, perfection and development. Third, closely associating the 50th Campaign with the “Determination to Win” Emulation Movement and other campaigns. The whole technical branch has to consider the 50th Campaign as part of the “Determination to Win” Emulation Movement with specific, concrete emulation criteria. Accordingly, units should concentrate on effectively executing the emulation movement “Promoting comprehensive quality of the 50th Campaign, creating new breakthroughs in mastering modernised weapons and technical equipment, and road safety in a proactive, creative and sustainably developed manner” launched by the MND’s 50th Steering Committee for the period of 2015-2020. In order to make the emulation movement spread far and wide, the party executive committees and commanders at all levels need to attach importance to well building model units and multiplying prominent examples under the motto of developing the model into the common, creating ebullient emulation atmosphere in the whole branch, contributing to enhancing the effectiveness of technical work. Units, therefore, need to grasp and well realise higher authorities’ instructions, first and foremost the instruction of the MND’s 50th Steering Committee on developing model units and prominent examples of implementing the 50th Campaign. Those which are selected should conduct inspection, preliminary summing-up and summation to opportunely draw experience, praise and reward collectivities and individuals for their excellent achievements in the implementation of the campaign. At the same time, it is important to identify new, effective models and active, proactive and creative individuals to multiply while opportunely detecting shortcomings which need overcoming. Capitalising on the recorded outcomes, the GTD’s organisations and units and the VPA’s technical branch make every effort to successfully fulfill the goals of the 50th Campaign under new conditions, making contribution to enhancing the VPA’s integrated quality and combat strength and satisfying demands of firmly safeguarding the Fatherland in the new situation.